The MAXIMUS Companion light looks exactly the same as the Maximus Smart Security Light in Coach look and has Bluetooth capability for easy pairing with the Maximus Smart Security Light. It syncs automatically with the light settings that were set for the Maximus security light. The light is easy to install in approximately 15 minutes when replacing an existing light fixture. No extra wiring is required. - The fixture comes with Energy Star certified A19 450 lumen bulb in it and 3-color status LED with selectable display/hide modes. The 270 Degree Outdoor Motion Security Light is perfect for large areas. Motion security light with a robust feature technology offering DualBrite 2-Level Lighting, Alert Flash Security and Bulb Life extending technology. The light has easy installation and consumer-friendly adjustable settings for proper light direction and sensor detection areas. This light offers features that promotes energy usage and durable construction for long lasting operation. The cornerstone of the Collection is quality, and this outdoor wall is no exception. Combining a classic antique pewter finish and posh styling, you will find no better way to highlight the charm of your home. With the superb craftsmanship and affordable price this fixture is sure to tastefully indulge your extravagant side. The cornerstone of the Collection is quality, and this compact fluorescent lighting outdoor wall is no exception. Combining a classic painted rust finish and posh styling, you will find no better way to highlight the charm of your home. With the superb craftsmanship and affordable price this fixture is sure to tastefully indulge your extravagant side. The cornerstone of the Burton Collection is quality, and this compact fluorescent lighting outdoor wall is no exception. Combining a classic royal bronze finish and posh styling, you will find no better way to highlight the charm of your home. With the superb craftsmanship and affordable price this fixture is sure to tastefully indulge your extravagant side. Coach Companion Smart Security Light - Textured Black The MAXIMUS Companion light looks exactly the same as the Maximus Smart Security Light in Coach look and has Bluetooth capability for easy pairing with the Maximus Smart Security Light. It syncs automatically with the light settings that were set for the Maximus security light. The light is easy to install in approximately 15 minutes when replacing an existing light fixture. No extra wiring is required. - The fixture comes with Energy Star certified A19 450 lumen bulb in it and 3-color status LED with selectable display/hide modes. Coach Companion Smart Security Light - Textured Black is rated 4.4 out of 5 by 14. Rated 4 out of 5 by Michael from These lights were advertised as motion activated security lights, false... These lights were advertised as motion activated security lights, false advertising. After installation and down loading the app, I find that you are required to have the matching light with security camera. If I had known, I would have purchased 1 of each to achieved my intended goal. Rated 5 out of 5 by HomeDepotCustomer from Good quality. Nice looking. Reliable.... Good quality. Nice looking. Reliable. Rated 4 out of 5 by HomeDepotCustomer from A couple of the lights didn’t work correctly but Kuna... A couple of the lights didn’t work correctly but Kuna is sending replacements. Rated 3 out of 5 by NashvilleNeko from This light is inaccurately entitled, "Motion Activated Outdoor Wall Mount Lantern" on the Home De... 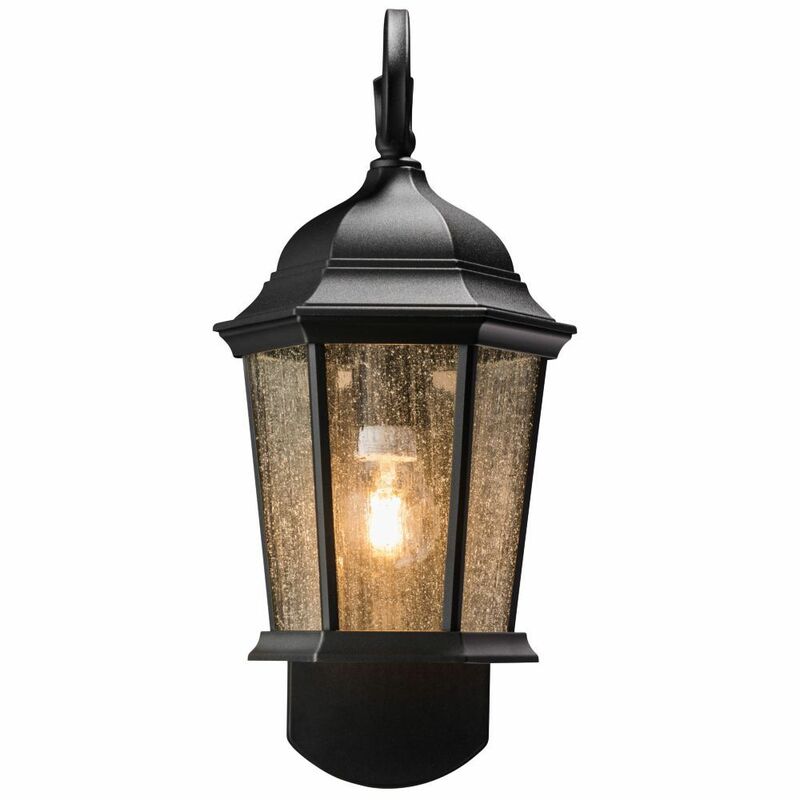 This light is inaccurately entitled, "Motion Activated Outdoor Wall Mount Lantern" on the Home Depot website. It is NOT motion activated on its own, but requires the purchase of another main light to control it. I confirmed this with Maximus customer service. It looks well made and installed easily with an included hook to hold the lantern's weight while connecting wires. This was a very useful piece that Maximus put in the box, not found on other brands of lantern. However after hanging it up, we discovered there wasn't a way to set the motion sensor because the feature didn't exist on this model. We didn't want to buy a second lamp just to use this one, so ended up returning it. It's a very nice lantern; just be aware you'll need to buy (or already own) an additional component for it to work as advertised on this website. Rated 4 out of 5 by Safehomeowners from Very good product, but need monthly subscription to see the... Very good product, but need monthly subscription to see the recorded video by the camera.